The Sanderson Depot, constructed in 1883, preceded the town that grew around it. In fact, the town itself was named after the president of the intercontinental railroad construction company. It was a terminal for Southern Pacific Railroad operations for a century, but SPRR moved the crew-change terminal in 1995, devastating the local economy. Today, Sanderson remains a scheduled Amtrak stop on the cross-country route from Miami to Los Angeles, but the depot is no longer a public facility. 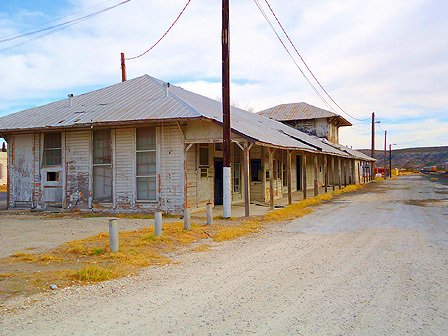 Abandoned and vandalized, the depot is deteriorating.